Benchmark International is delighted to announce the completed sale of Earthing Solutions and Earthing Measurements Limited to ERA Technology, part of EDIF Group Management Limited. Benchmark International is pleased to announce the acquisition of Clever Accounts Limited by John Hoskin of Milestone Partners Limited. 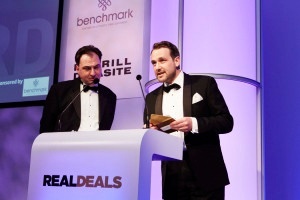 As proud sponsors of The Private Equity Awards organised by Real Deals Benchmark UK directors enjoyed yesterdays ceremony immensely. From the early 1990s onward, China’s economic and business landscape has been in a constant state of evolution. As the country has adapted to the movement from a state system which largely depended upon command and control economics to a more open economic state the economic landscape has undergone vast changes. 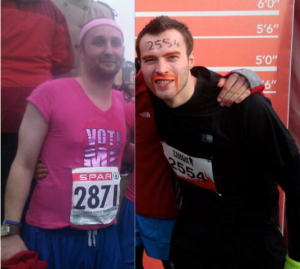 Benchmark UK team members Roger Forshaw and Andrew Hancock will be competing in this years Manchester marathon in aid of The Christie Charity and The Mo Farah Foundation respectively. Benchmark International, following robust negotiation on behalf of our client, have completed the sale of the goodwill, business and assets of Petnap Limited to a private acquirer for an undisclosed sum. Today we received a very nice letter from one of our former clients, Chris Rawlinson of Medical Projects International Limited. 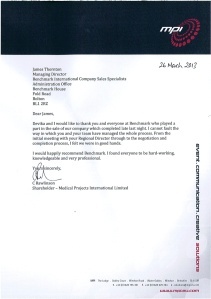 Benchmark International recently assisted Chris in the sale of his company and as you can see in his letter, Chris was very pleased with the service he received. Benchmark International is delighted to announce the sale of MSA Software Systems Limited, trading as FLEET Auto-Mates, to Cheshire-based IT services company Rosico Limited. Benchmark International is delighted to announce the completion of a deal which will see payday loan company, Gentis Group holdings, trading as Umbrella Loans Limited, acquired by a major player within the debt management industry. Benchmark International is delighted to announce the sale of Medical Projects International (MPI) to Banks Sadler for an undisclosed substantial seven figure sum. As a business owner, there will be a variety of possible reasons for the eventual exit from your company, whether it be health, retirement, competition or many more. A question we face more than any other as company exit specialists is “what is my company worth?”. Well, the facts are that the answer to this question is affected by a vast number of external influences which all play their part in determining the peaks and troughs within the M&A industry life cycle. Dealing with business owners day in day out we find it startling how so few have have a considered exit strategy in place. Many believe that when the time comes to retire or move on to something else, all will simply fall into place. The reality is far from that and due to external market factors, timing and planning is crucial in this decision in order to receive maximum value for what will most likely be a business owners most valuable and prized asset. We are now almost two months into 2013 and we thought this would be a good time to analyze the trends we have seen thus far and make our predictions for the following 10 months. Well, to say we are pleased with what we have seen so far would be a gross understatement. Activity is soaring, well beyond what we could have expected, which is great news for sellers. In such an active market with heightened levels of demand for mid-market companies, owners generally receive high sale values due to the increased competition. 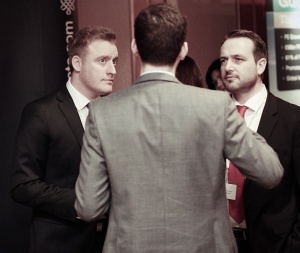 Last week, Benchmark International attended RealDeals’ UK Mid-Market event at the Lancaster London Hotel, bringing together 300 delegates from the most acquisitive private equity organisations across the UK and Europe. While not quite living up to high expectations, 2012 was a solid year overall in the global M&A market. The number of transactions was modestly below the all-time high reached in 2011, and announced dollar volume was slightly above the year-ago figure. The bellwether U.S. market, which accounted for 40% of deal activity and nearly half of dollar volume, marked an all-time high for transaction count while witnessing a moderate dollar volume decline. During 2012, positive forces such as well capitalized strategics and financial sponsors coupled with widespread credit availability were largely offset by uncertainties related to the global economy, government fiscal challenges, and Europe’s debt troubles, causing many prospective buyers and sellers to defer decisions on potential deals. However, global dollar volume in Q4 2012 was almost 50% above the average of the first three quarters of the year and reached the highest level since Q4 2007, possibly boding well for increased M&A activity in 2013. Following the last minute agreement made in early January in order to avoid the tax implications of the Fiscal Cliff, we are finally faced with some clarity when it comes to taxes for 2013. However, whilst The American Taxpayer Relief Act (ATRA) dealt with tax components relating to revenue, decisions regarding the spending side have been delayed for two months. As we all now know, last minute wrangling led to the fiscal cliff being avoided. An agreement was reached on tax increases for wealthy individuals amongst other issues. Spending cuts and the significant impacts of tax increases were both avoided. Well, not necessarily. In essence, the agreement postponed the most painful issues faced by the country, spending cuts and the debt ceiling. Benchmark International UK employee Nicola Ronson is currently taking part in ITV breakfast show Daybreak’s feature ‘The Hollywood Diet’. Nicola has been following a regime laid out by leading fitness and nutritional experts out in LA and made famous by Kelly Osbourne who has completely transformed herself following the diet and exercise plan. 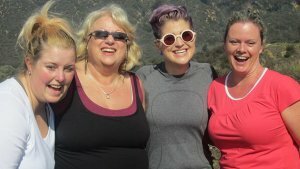 Kelly is mentoring a selected group of participants including Nicola who recently traveled out to LA to meet up and train with their mentor. Benchmark International company sales specialist has advised Coronation Street’s researchers on the latest storyline involving the sale of Carla Connor’s Company Underworld. 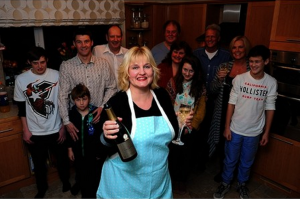 Tori Yerbury, wife of Benchmark International Director Tony, is celebrating winning UK TV show ‘Come Dine With Me’. Tori came out the victor in the show which pits four keen amateur chefs from the same area against each other where they each host a dinner party at their own homes. 2012 was a great year in terms of deal activity at Benchmark International and we have several reasons to believe that 2013 will surpass last year with market conditions primed for high levels of deal completions. External economic factors invariably play the biggest role in determining the most salable time for companies. One of the biggest factors at play are interest rates and as you will probably already know, they are at a record low in both the US & UK, which is great for those considering selling their company. 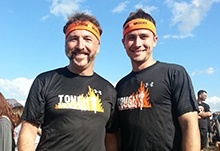 Members of the Benchmark US team, Steven Keane and Nick Perry, recently completed what many consider the world’s toughest obstacle race. The Tough Mudder is a grueling 12 mile obstacle course designed by British Special Forces to test participants strength, stamina, mental grit, and above all camaraderie. 2012 has seen M&A activity move significantly towards pre-recession levels. The continuing access to capital and finance on the buy side, coupled with stronger balance sheets and soaring appetite for divestiture has meant that deal completions have reached record levels here at Benchmark International. With corporate confidence improving further in addition to the huge levels of cash available to investors under pressure to spend, 2013 looks set to prove even more successful in terms of deals completed.